I can’t say enough good things about the quality and talent at the hair exchange in Medford. Natalie, the salon owner, has been styling and coloring my hair for over 30 years. She is a total problem solver and I like to joke with my friends that she is really like seeing a “hair doctor”. 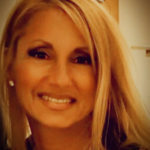 She is very analytical and thoughtful and can solve any hair dilemma whether it be style, color or texture of your hair. She is always using state of the art products, going for training in new products and hair care techniques and she has an incredible amount of hair knowledge. Over the years, I have occasionally had my hair done by other stylist in the salon if Natalie has been away, and the results are always great. The whole group holds to a very high standard of hair care! I have been going to The Hair Exchange in Medford for the past 27 years and wouldn’t think of going anywhere else for hair care! Natalie and her team are true professionals, always focused on their customers. There were plenty of other salons I’ve visited over the years, but none ever gave me the results I’ve enjoyed since Natalie has been taking care of me. With curly hair (which has always been mostly gray!) many have tried to make it straight, or color it with something that lasts a couple of weeks at best. Natalie selects the perfect color and cut, which can sometimes change without notice based on my mood, or a bad hair day. My daughters have also been customers since they were toddlers and are now both twenty-somethings. With very different styles and lots of experimenting with some interesting haircuts and colors, Natalie is amazing! She offers something for everyone! I am a huge fan of Natalie, her staff, the products she selects, and her expertise. The Hair Exchange is second to none! I have been a client of Natalie’s for over 20 years.Natalie gives great attention and detail and my hair is perfect each time. 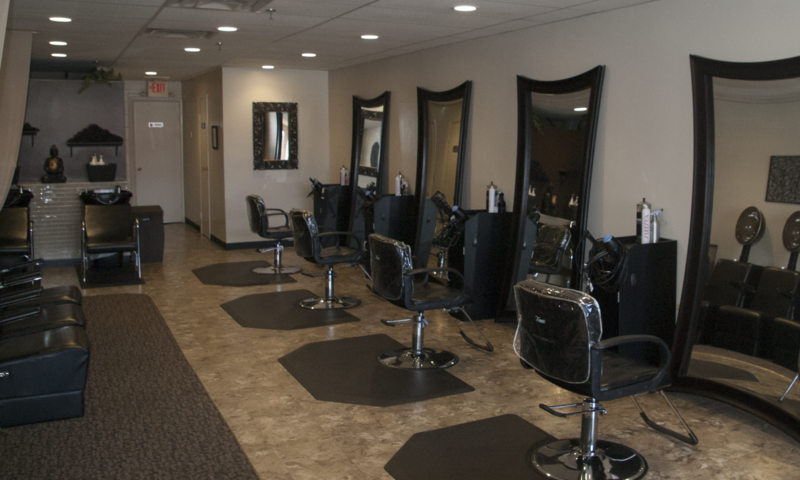 Natalie takes the time to go over any concerns she may have during your appointment and is able to give helpful suggestions to strengthen your hair. Natalie is an excellent hairdresser, extremely reliable and trustworthy. The Hair Exchange is a professional and friendly environment. I wouldn’t trust my hair care with anyone else & this is why I have remained a client for over 20 years. I am most fortunate to be a long-time (over 20+ years) client of Natalie Jarvis at her salon, The Hair Exchange in Medford, MA. Not only have I been a client for many, many years, my husband and extended family are also clients. We wouldn’t think of going anywhere else. Natalie is the consummate professional. She is a true specialist/artist! She has a “magic touch” and a knack for making me feel beautiful and confident. A bonus are the compliments I receive from my husband, co-workers, and friends. Natalie is always accommodating and if I should have a “last minute hair emergency,” she always fits me in. Natalie also hires similarly talented associates. I recommend The Hair Exchange for anyone seeking, talented, professional and top-notch hair stylists. Do you want to love your hair and hair salon? Then look no further than The Hair Exchange in Medford! My mother and I have been clients of Natalie at The Hair Exchange for about 25 years. The stylists here are professional, honest, and hard working. They go above and beyond to make sure their clients are happy. My mom went through several hair dressers over the years until she found Natalie. She is truly the best out there in our opinion. She is the hair whisperer you’ve been searching for! The Hair Exchange has reasonable prices, a friendly atmosphere, and I can guarantee you will leave there loving your hair! So what are you waiting for? Make an appointment today!! Once you do, you will always look forward to getting your hair done. You have nothing to lose except for the chance to have amazing hair! I have been going to The Hair Exchange for 30 years and Natalie has always been there to make me look better…even when I was my own worst enemy. From the early days when the salon was on Forest St. and when it was my choice to grow my “80’s hair band” locks (what was I thinking??) to today when I now sport a far more conservative hair style more befitting of a professional, Natalie has seen me through my transformation. In every stage she has always taken the style that I requested and made it better, consistently giving me exactly what I wanted. Over the past 30 years, I honestly can not remember a single instance when I was not happier walking out than I was walking in….the hair cut, the service, the smiles, and the conversations. I wouldn’t think of going anywhere else, and I couldn’t recommend both her and The Hair Exchange any more highly. I have been a client of Natalie for over 20 years. I can honestly say in all those years, I have never ever been unhappy with any cut, color or style she performed on me. I have always trusted her honest opinion when I come in with a new idea and she has never let me down. Natalie has always kept herself current with the latest styles and products and her talent and knowledge are exceptional. Her salon is trendy and inviting and always immaculate. It is always nice to be complemented on my hair and I have referred several friends and acquaintances to her without hesitation. In fact, my husband has also become a very satisfied client of Natalie. I personally don’t know what I would do without her expertise, she’s the best! !